Will the US Become a Bilingual Country? In the U.S., speaking more than one language fluently is not very common – except in Los Angeles, California.The city has one of the largest populations in the U.S. of young people between the ages of 18 and 34. This generation is often called millennials. More than half of millennials in Los Angeles are bilingual, which means they speak more than one language. Maria Elena Burgos is cooking a Mexican breakfast. She says making Mexican food is just one of the many traditions in her home. Another is speaking Spanish to her children. “We want them to be bilingual. We want to keep the Spanish somewhere in their learning too, not only at home.” When Ms. Burgos first came to the United States from Mexico, she learned English. She knew her children would learn English quickly. So she wanted them to speak Spanish at home and study the language at school. 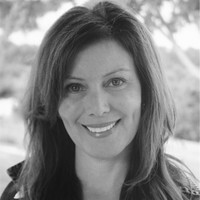 Her children include daughters Elizabeth and Monica. They like speaking both English and Spanish. Elizabeth wants to know her family’s culture. Monica wants to pass on the culture to her children. And, Monica says she does not speak only English and Spanish. She has even learned some Korean in school. The U.S. Census Bureau says more than half the adults in the Los Angeles area between 18 and 34 years old speak a language other than English at home. For the whole country, the number of bilingual adults is only 25 percent. The number of bilingual speakers has gone up since the 1990s. At the same time, the number of foreign-born millennials has gone down. In other words, more people in the U.S. are learning a second language at home or in school. 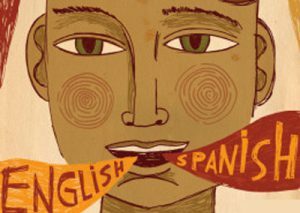 Many immigrant parents are passing their native languages to their American-born children, says University of California Los Angeles professor Raul Hinojosa. “Mandarin is going to be encouraged. Japanese is going to be encouraged. Vietnamese is going to be encouraged.” Raul Hinojosa says the decision to keep a native language is clear in Los Angeles now. And, as the number of minorities in the U.S. continues to grow, he thinks bilingualism will spread to the rest of the country.